This page houses sketches of maps produced by the commanders of combat patrols, most dating from the period 1928-1930, when the geographic knowledge of the Marines & Guardia was sparse and the Second Brigade's Mapping Section hungry for more detailed information about the spatial characteristics of the country the Marines had invaded & occupied. Generally these sketch maps also appear in PC-Docs, along with the patrol & combat reports with which they were submitted & archived. 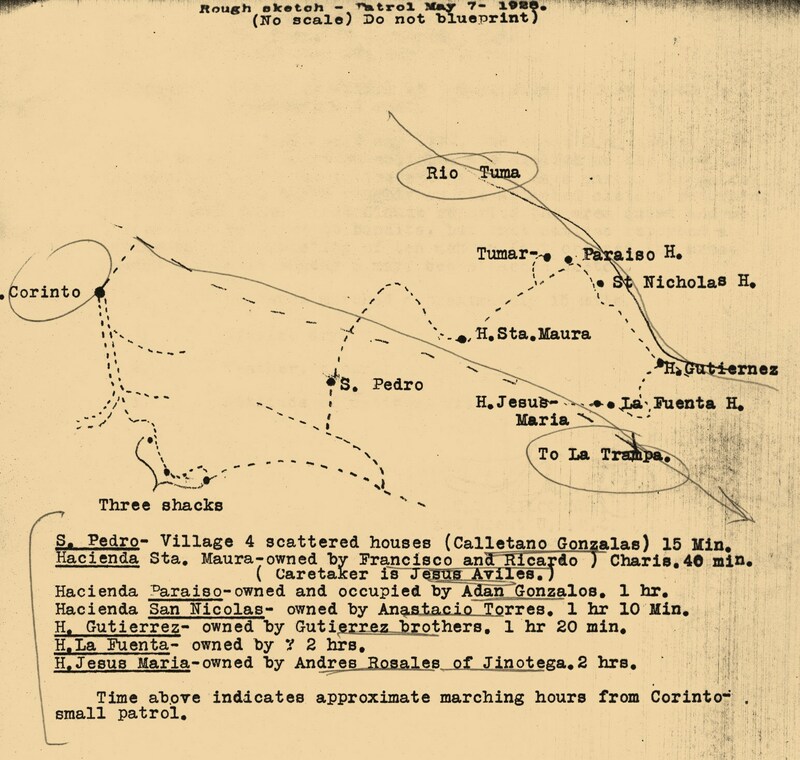 "Sketch Map, Vicinity of Sapotillal Ridge, Nueva Segovia, 9 October 1927." See PC-DOC 27.10.12 O'SHEA. 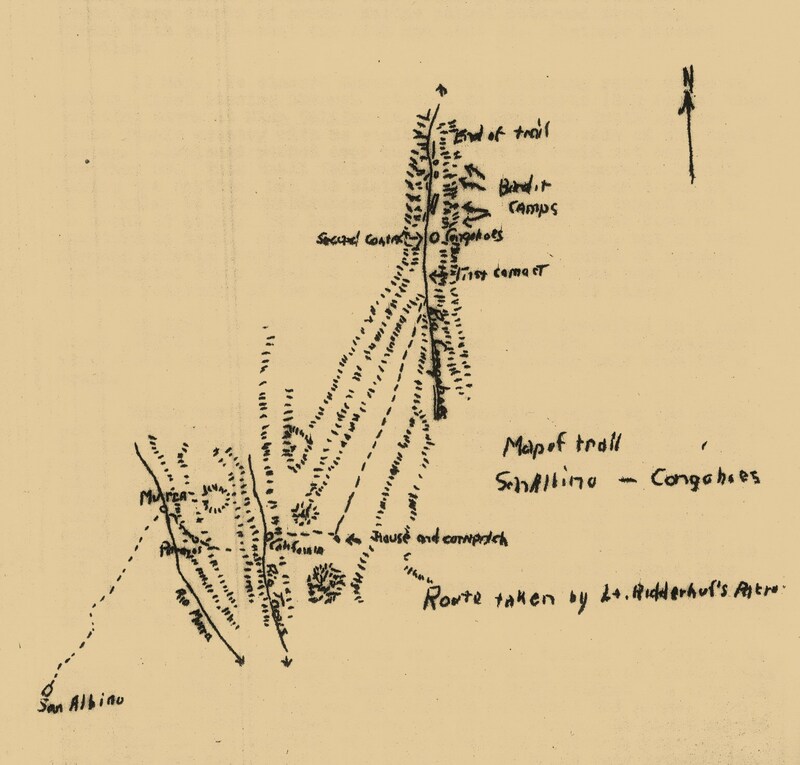 "Sketch of Scene of Action, Capt. Livingston's Column, 30 December 1927." See PC-DOC 27.12.31 GOULD. 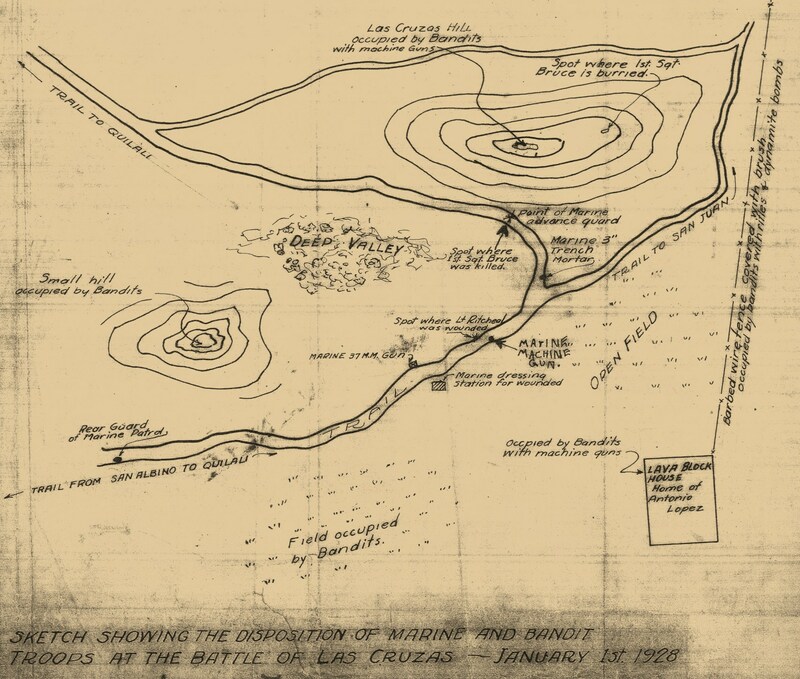 "Sketch showing the disposition of Marine and Bandit troops at the Battle of Las Cruzas, January 1st, 1928." See PC-DOC 28.01.04 BROWN. 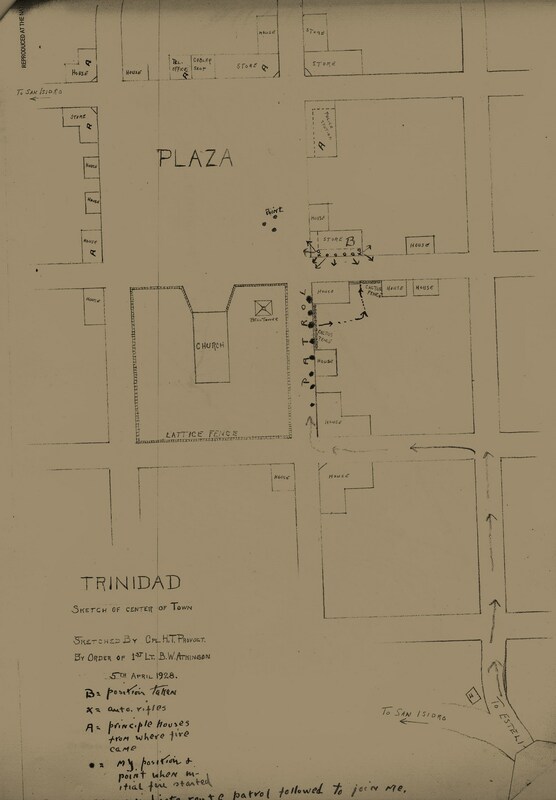 Sketch of zone from San Juan de Telpaneca to San Rafael del Norte, P. Reyes & P. Geyer, 5 February 1928. See PC-DOCS 28.03.05 Rockey. 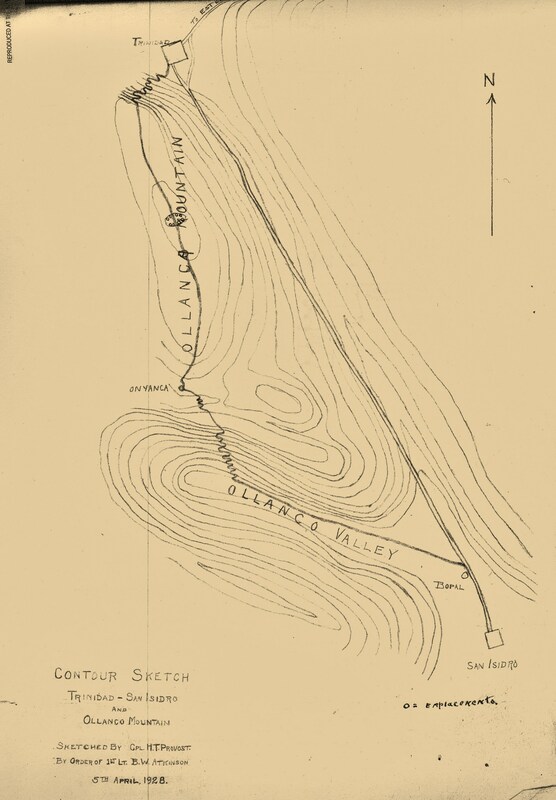 "Rough sketch of Remangon Area and Area east of Quilali and Chipote, by R. H. Patterson, 4/1/28" (1 April 1928). 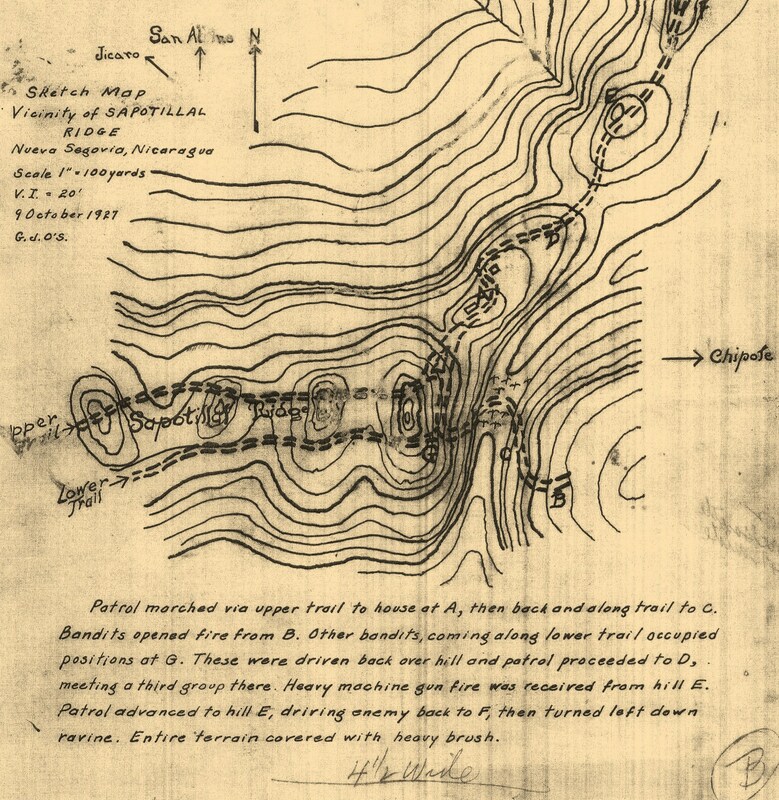 "Contour Sketch, Trinidad-San Isidro and Ollanco Mountain, Sketched by Cpl. H. T. Provost, by order of 1st Lt. B. W. Atkinson, 5th April, 1928." See PC-DOC 28.04.05 ATKINSON. 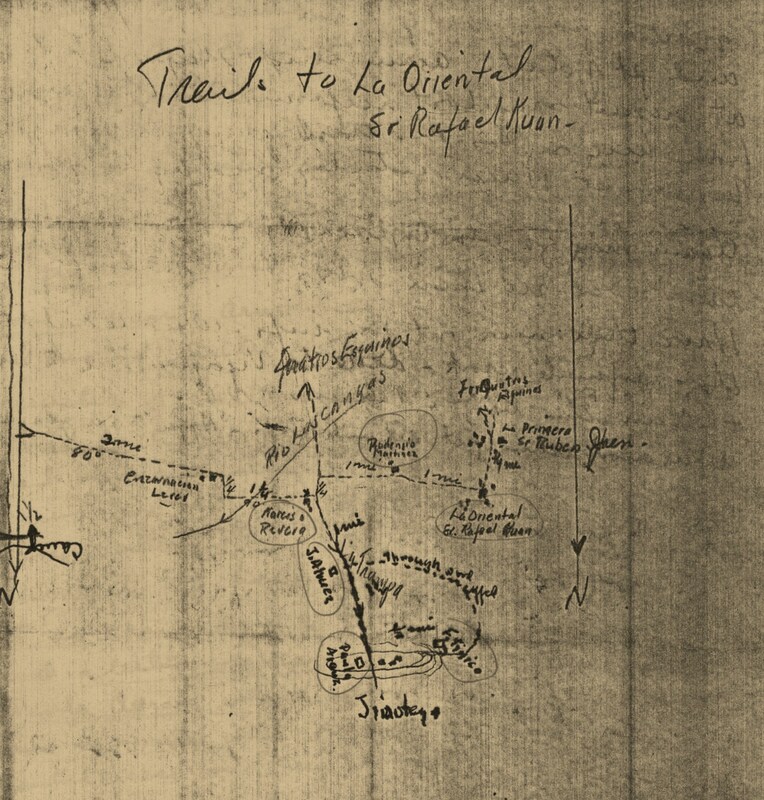 "Trails to La Oriental, Sr. Rafael Kuan." Accompanying PC-DOC 28.04.05 HART. 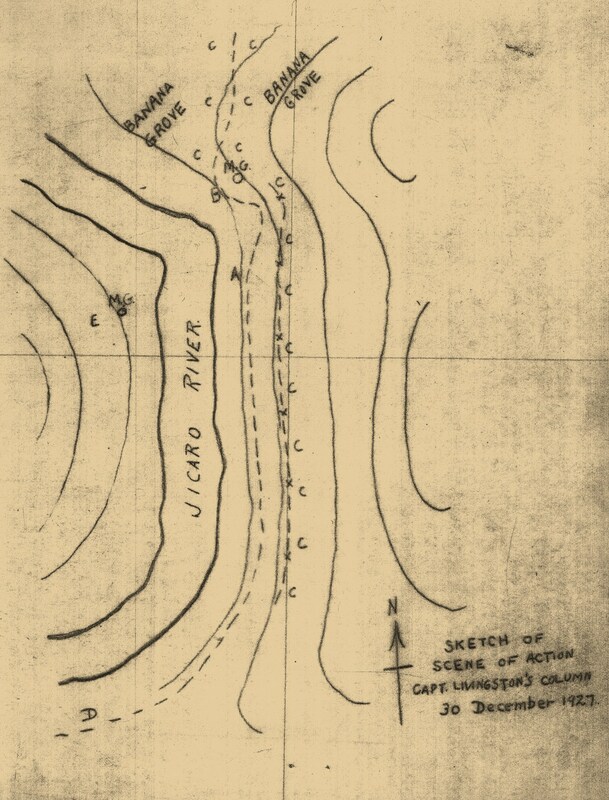 "Rough Sketch [of Rio Tuma-La Trampa area east of Jinotega] — Patrol May 7, 1928." See PC-DOC 28.05.09 KILCOURSE. 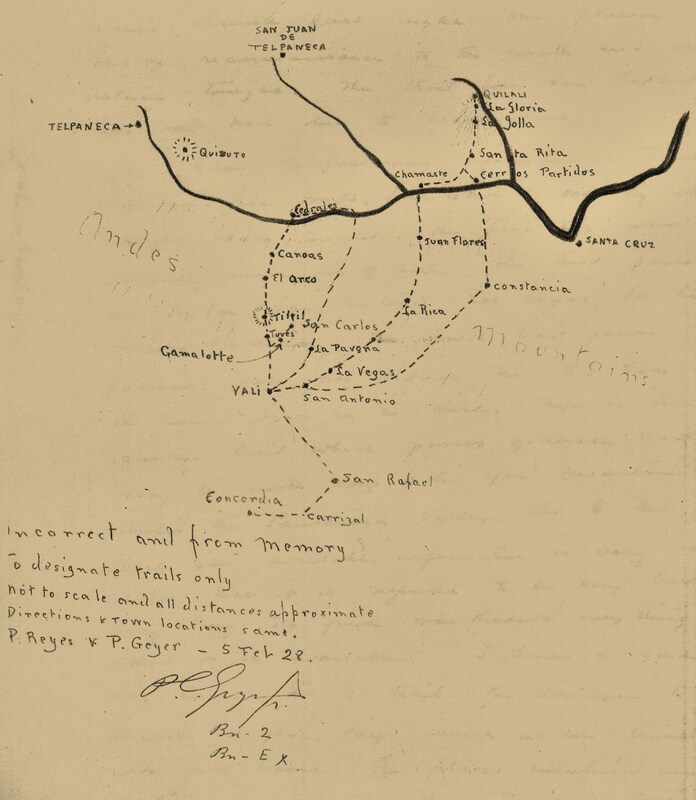 "Map of trail San Albino - Congohoes [Congojas], Route taken by Lt. Ridderhof's patrol." See PC-DOC 28.05.17 RIDDERHOF. 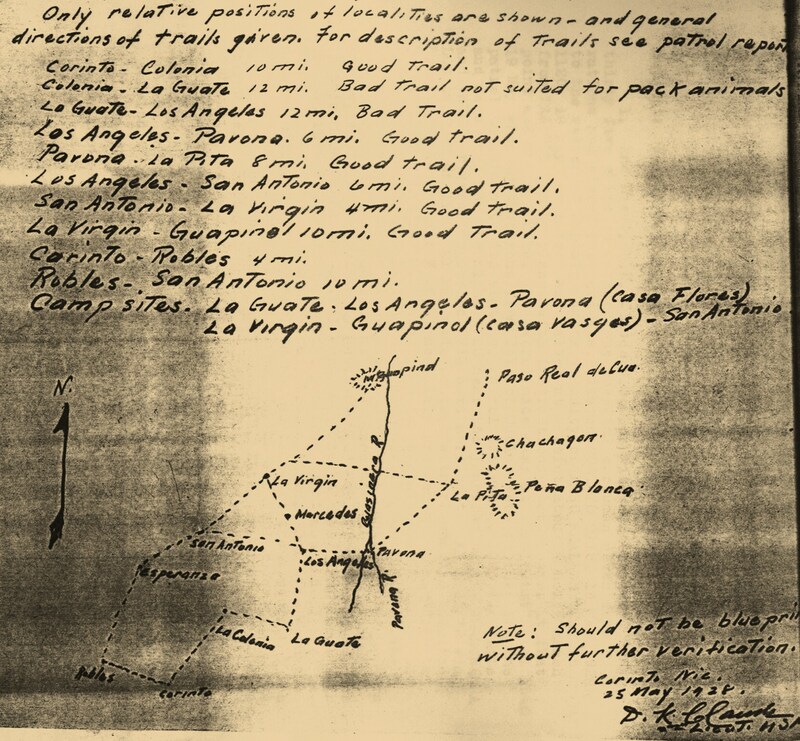 Sketch Map of Guapinol—Peña Blanca area. See PC-DOC 28.05.24 CLAUDE.